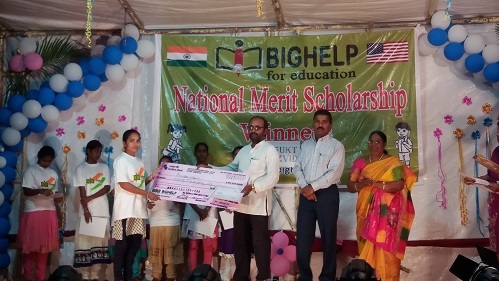 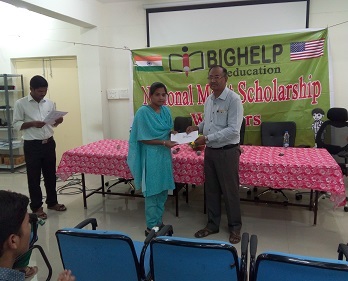 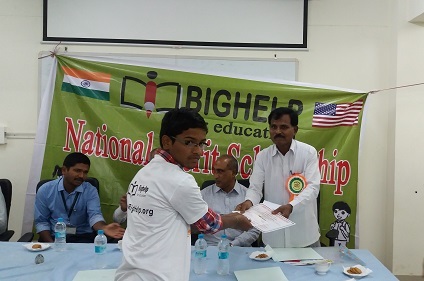 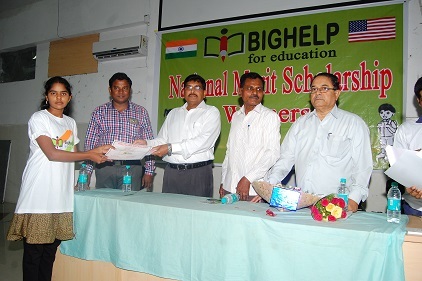 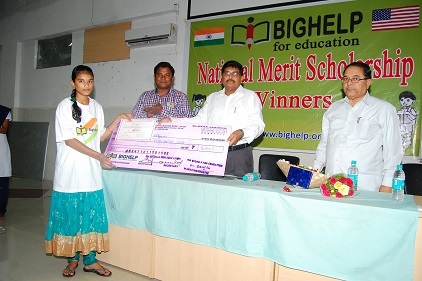 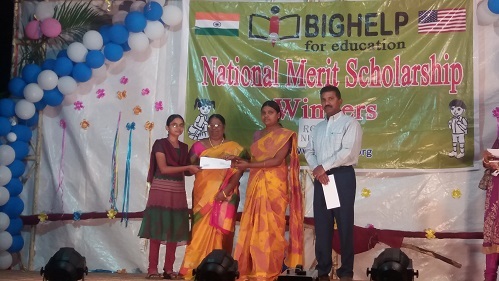 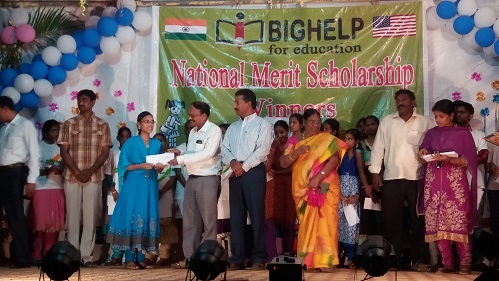 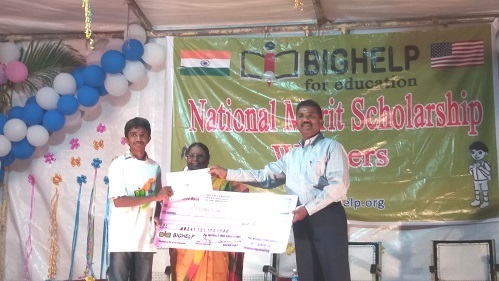 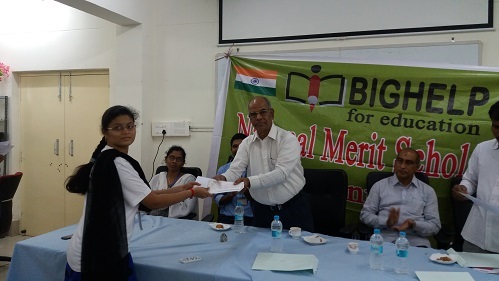 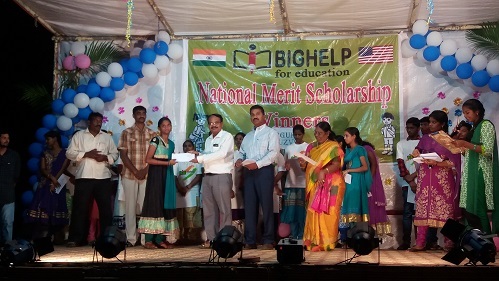 National Merit Scholarship has been setup by Bighelp to help meritorious students studied from Government public schools, but financially poor children, to continue their higher education after their 10th grade. 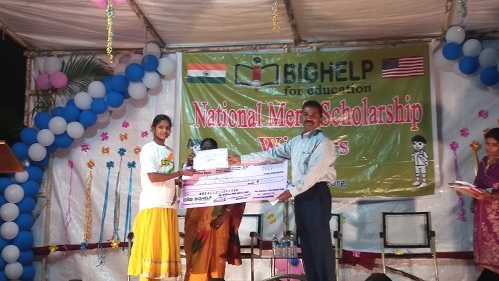 All children that live at any part of India, who are financially backward, and received the GPA of 9.7 or more (out of 10), and studied their 10th class in government public school are eligible to apply for this scholarship. 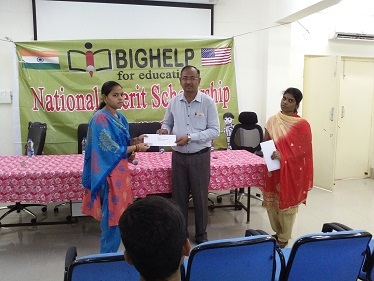 Each winner of this award will be receiving scholarship of Rs.5000 (five thousand rupees) for up to 6 years (total of up to Rs.30,000) or until they complete their graduation or technical degree whichever is earlier. 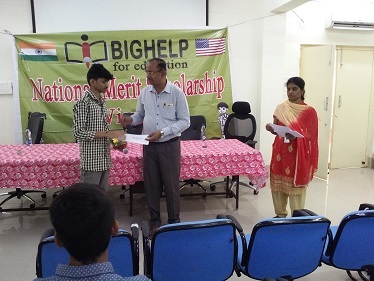 Bighelp selects the winners based on their GPA, financial status, community service and extracurricular achievements. 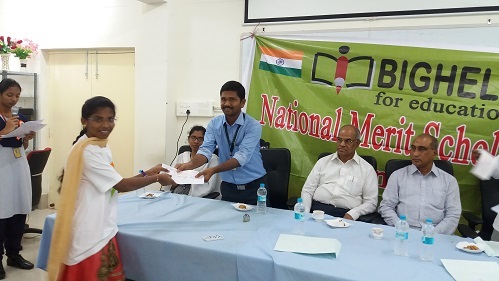 Total 41 winners have been selected for the academic year 2015-16 based on the GPA that they earned in their 10th grade. 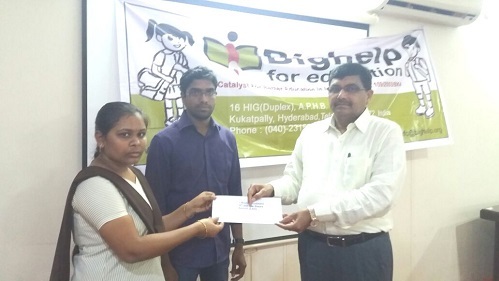 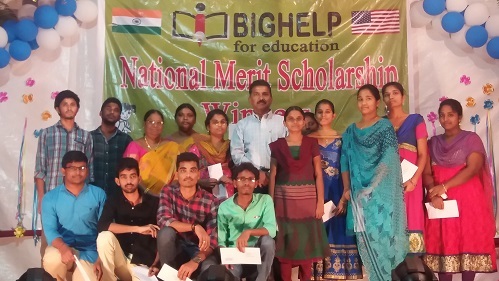 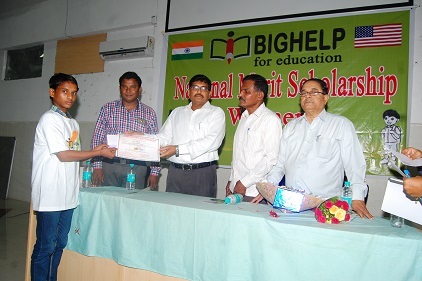 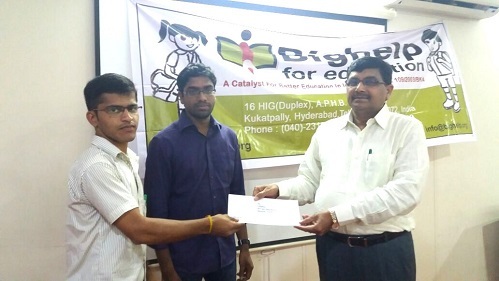 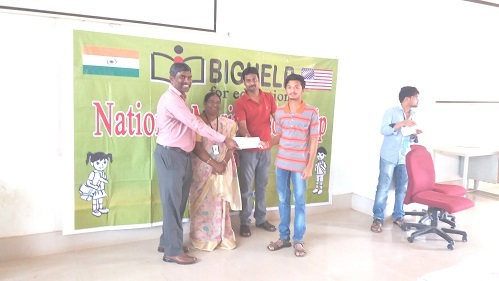 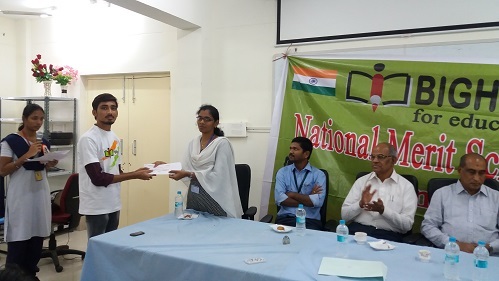 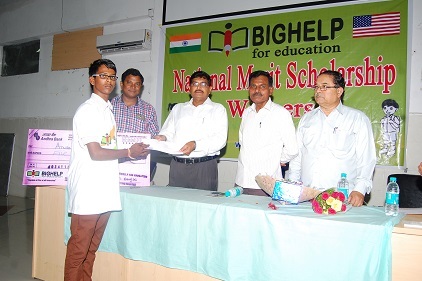 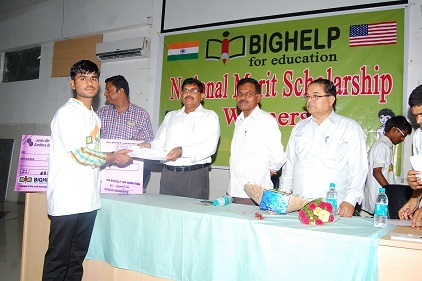 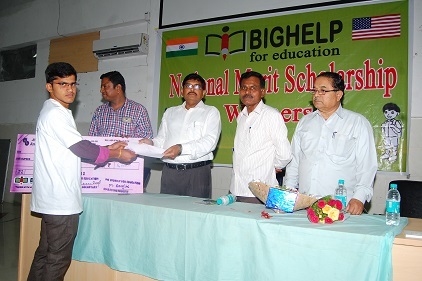 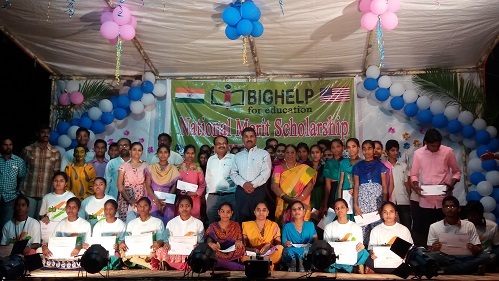 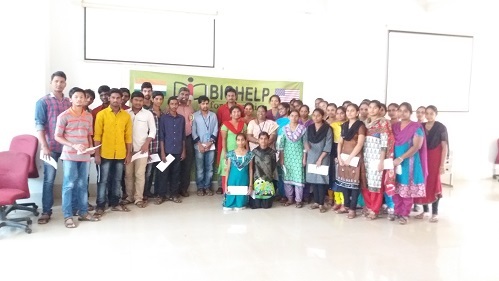 Higher education students of Bighelp were also attended to the function and received their 1st installment amount of this year.